The lightweight server management software for your needs. 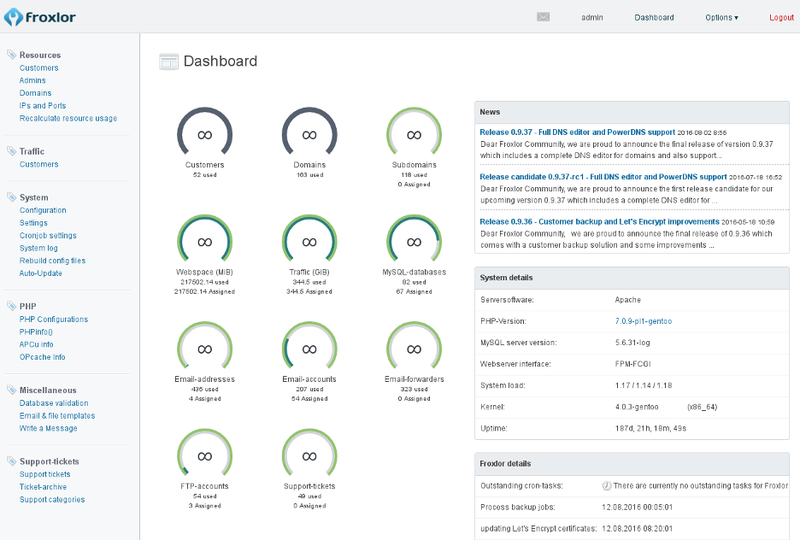 Developed by experienced server administrators, this open source (GPL) panel simplifies the effort of managing your hosting platform. A simple and easy step-by-step install script guides through the process. froxlor checks for its needs so everything will run smoothly when installed. 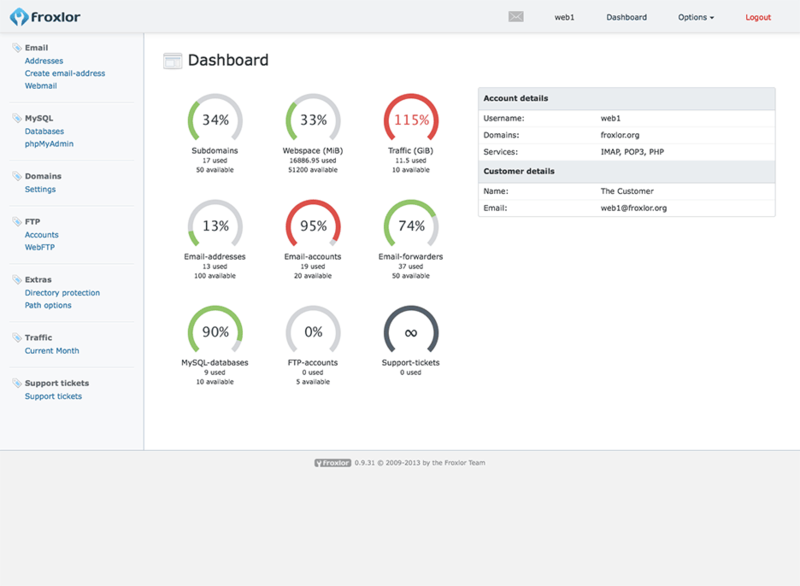 Manage customers, domains, php-configurations and much more. 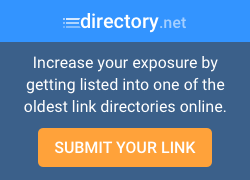 Manage domains, mails, databases and much more. 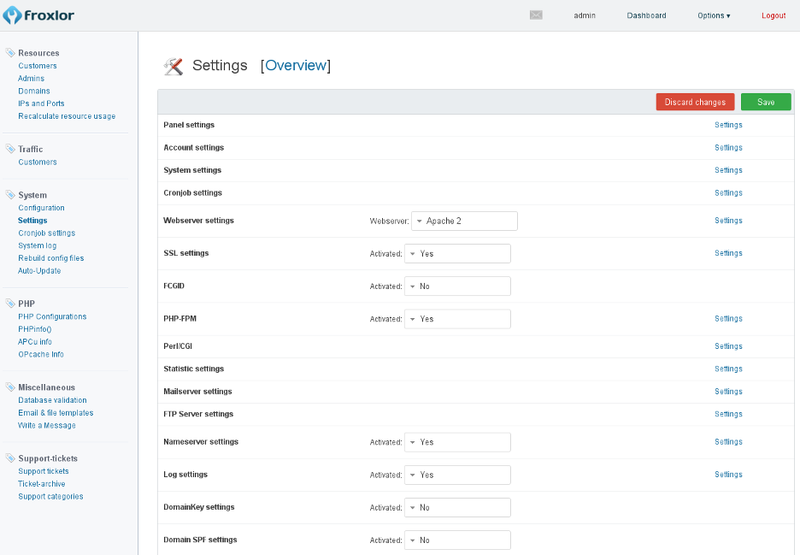 froxlor provides many configuration options to customize it to your needs. The latest stable release is recommended for production use. 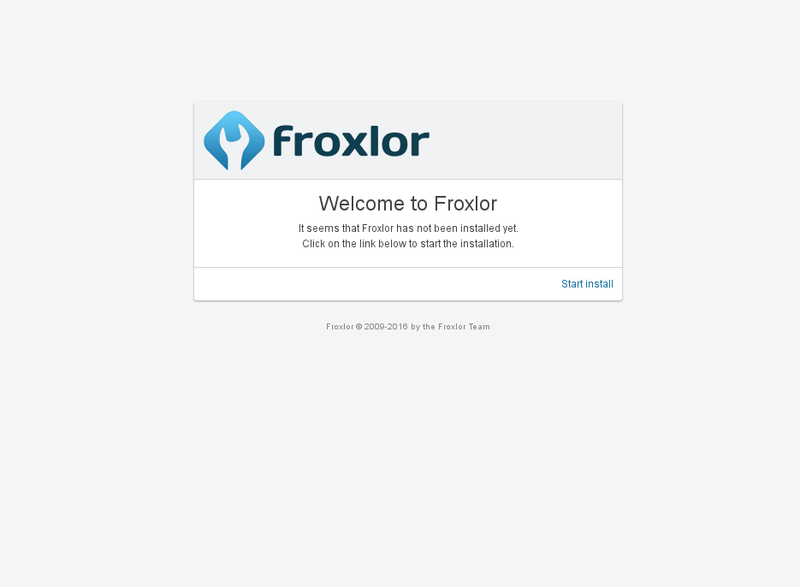 For older versions of Froxlor please refer to our release archive. Froxlor is also available as packages for Debian and Gentoo. For help on how to install/use these packages, please refer to our wiki. You can also download our shell installer which downloads the tarball, extracts it and sets up the basics as our web-installer would do. For managing the sourcecode, Froxlor relies on the DSCM git. You may easily clone our repository from the sources below or fork it on GitHub, where we welcome pull-requests as well.